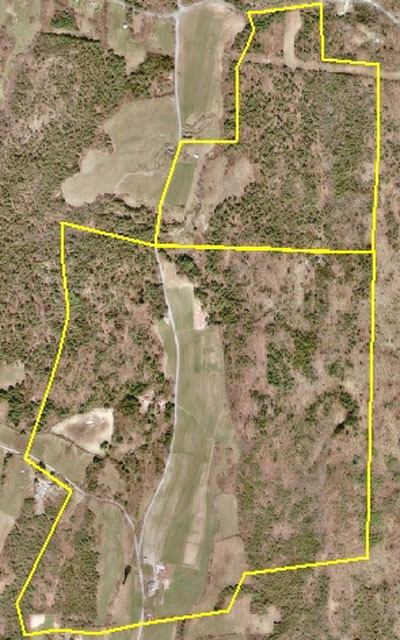 John Payne of Foxbard Farm owns a total of 717 acres in three parcels: 285 acres around his home/ barn; 292 acre woodlot elsewhere in town not connected; 140 acres [90 acres woods, 50 acres hay, elsewhere in town]. 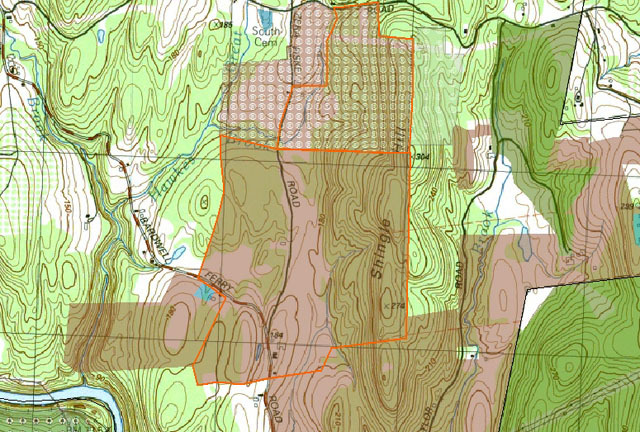 He also leases 170 acres of land - 95 acres of which is the subject of this case. 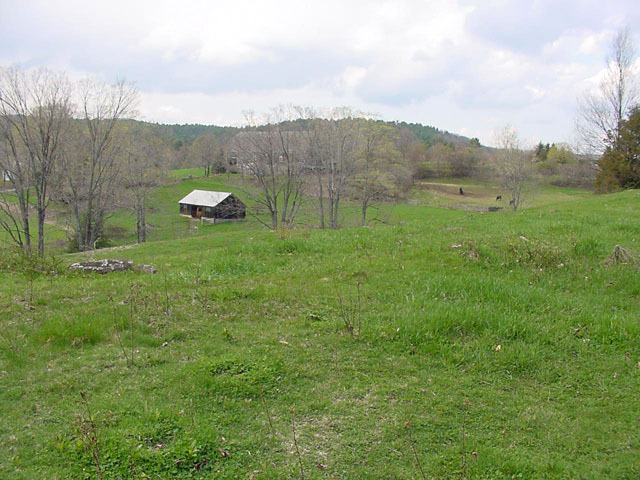 The Smith Farm is one of the original farms in Shelburne. Over time through succeeding generations, parts of it were sold off, primarily as house lots. 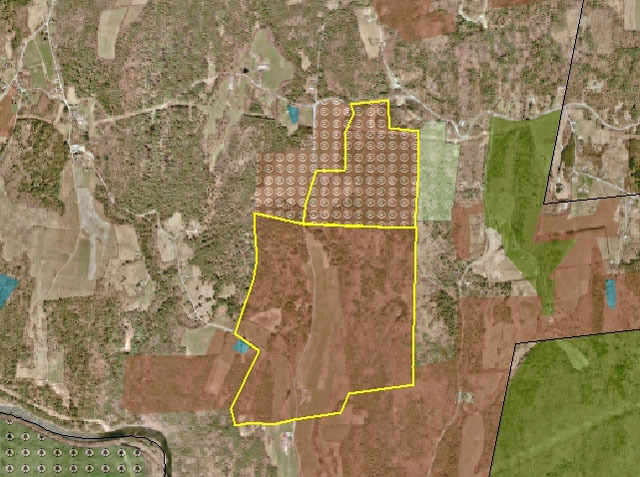 In 1999, the family put 95 acres on the market , in one 70-acre piece, and three 8-acre house lots.The owner called John Payne first, before it was put on the market, to see if he, as an abutter, was interested in buying it. 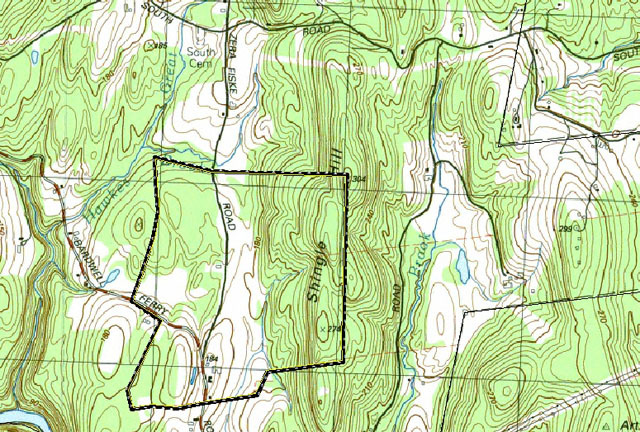 The property was in Massachusetts Chapter 61A [current use property tax program, affording agriculture and forest land property tax relief]. 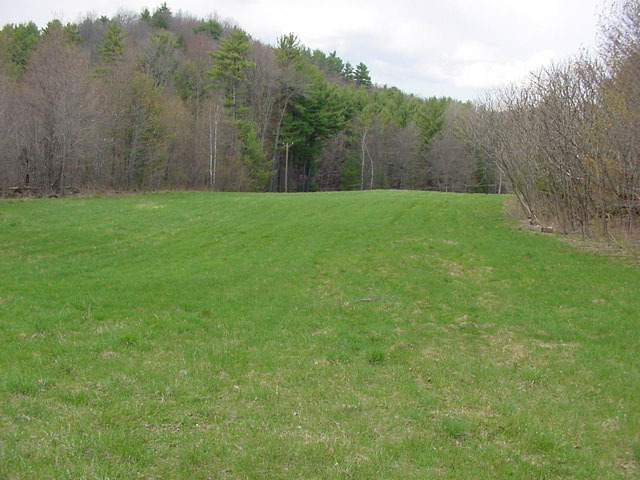 One important and relatively unique provision of the Massachusetts current use tax program is that the community has the right-of-first-refusal to purchase the land at the price offered by a willing buyer. Communities have 120 days within which they can exercise this right. 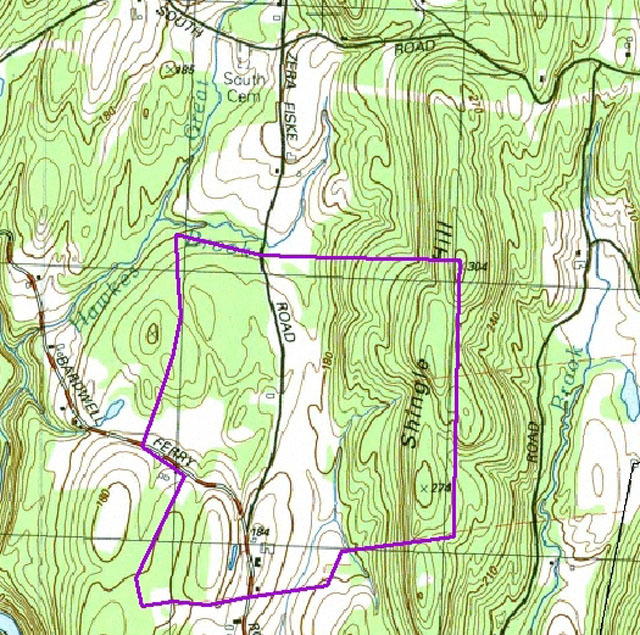 The proposed sale of the land would remove it from Chapter 61, hence the community needed to decide if it would exercise its right of first refusal. Neighbors of the property wanted the town to exercise its right. 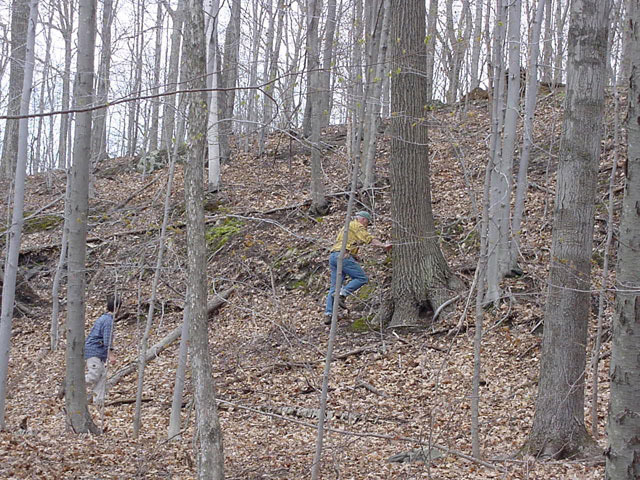 The Franklin Land Trust which is active in the area wanted to participate. 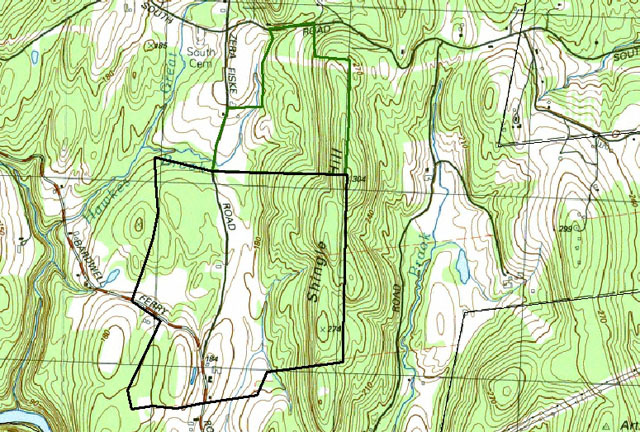 In a non-binding special town meeting decision, citizens voted to pass the right-of-first-refusal on to the Franklin Land Trust (FLT). The Selectboard took this "sense of the town", and passed the right to FLT, which initiated a campaign to raise the money to buy the land at the asking price. The fundraising was local, with interest expressed by neighbors and other supporters in town. 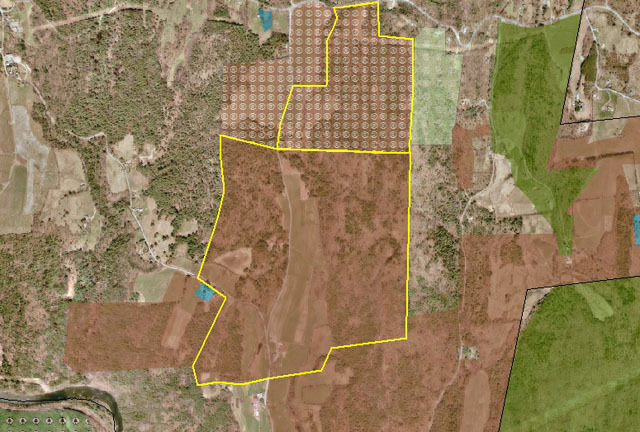 The "puzzle pieces all fell into place" with fundraising, which was accomplished by a relatively small number of generous citizens weighing in with contributions to FLT to underwrite the purchase of the land. The fundraising had to be done on a tight time schedule, since the town only had 120 days to act, before the right-of-first-refusal expired, and the sale went through as originally intended. They raised roughly $300,000. Much credit goes to Mark Zenick of the FLT. Mark Zenick and FLT played an invaluable role in the project. Zenick was the "architect" , in that he had extensive experience brokering similar deals between sellers and conservation buyers, and had good insight into how to raise funds, structure the deal, negotiate with potential donors, and make the case. Zenick served as the sounding board and creative force behind the deal, and John Payne was the "skeptic" who challenged the project in a constructive way by asking questions. Overall, the transaction from start to finish took approximately 6-8 months [see timeline]. 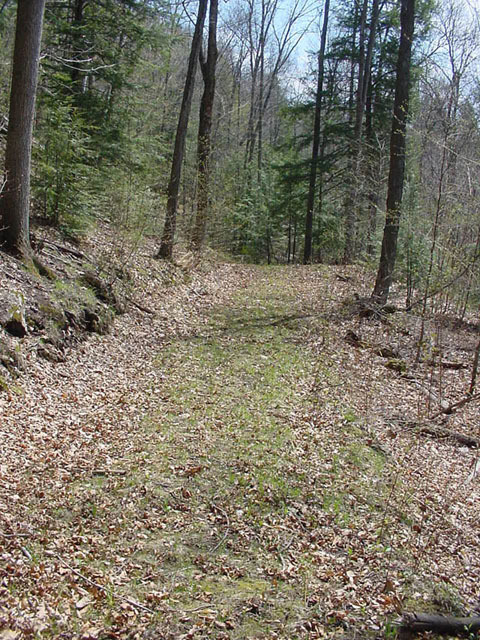 During the fundraising campaign and negotiations, FLT director Mark Zenick approached John Payne with an offer of a long-term lease and care of the land. FLT saw its mission as accomplished, since the land had been protected from development, but it did not want to be in the business of managing the land. 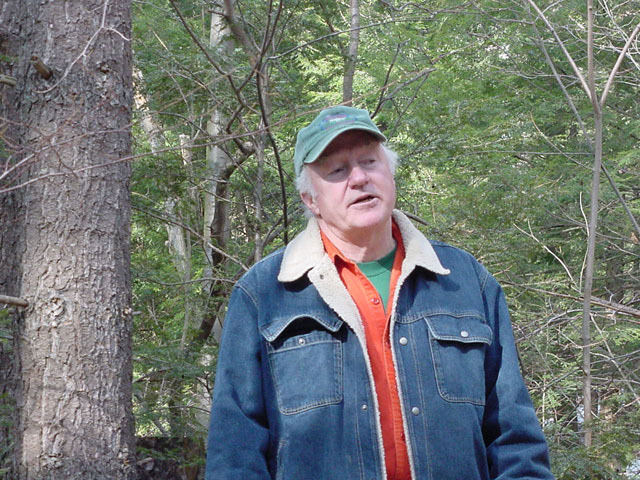 John Payne signed a 99-year lease to the 95 acres owned in fee by FLT. John pays $500/year to FLT, as well as $200/year to the town in a payment in lieu of taxes, since the property is owned by a non-profit and technically could be considered off the tax roles. 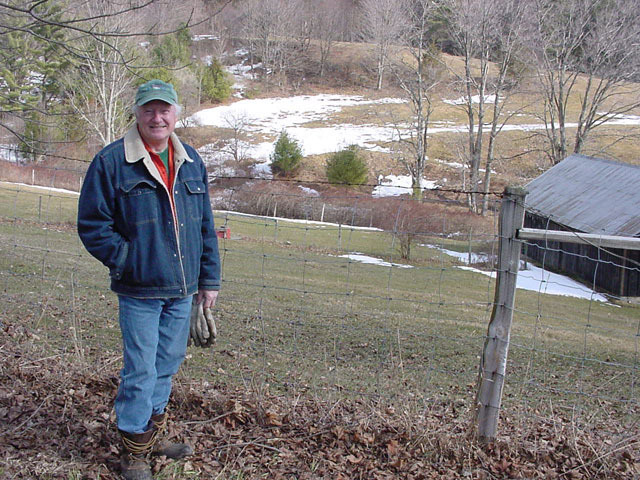 John Payne manages and improves the land as part of his overall farm operation. 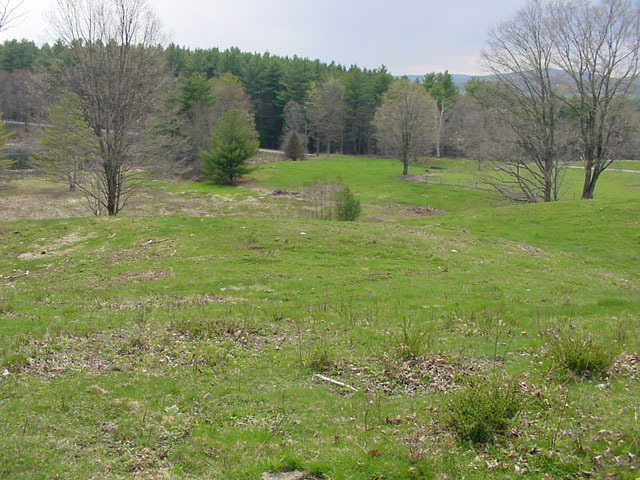 He has had an 8-acre pasture cleared of scrub pine and brush, and has reseeded a small hay field to clover and other forage grasses. 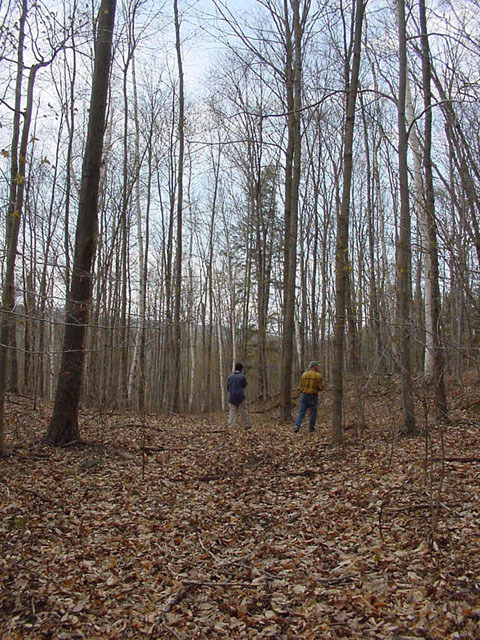 The wooded portion of the property had been harvested partially by the previous owner, and will need appropriate silvicultural treatment to improve the timber for the future. 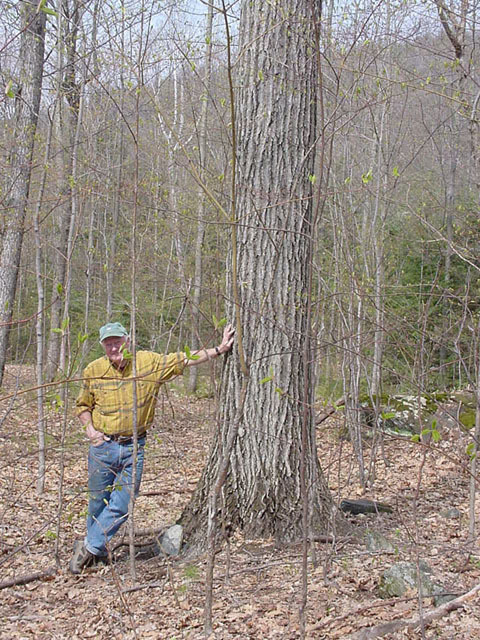 He manages the land "as if it were his own", and does not pay the FLT for timber or other products that are harvested. 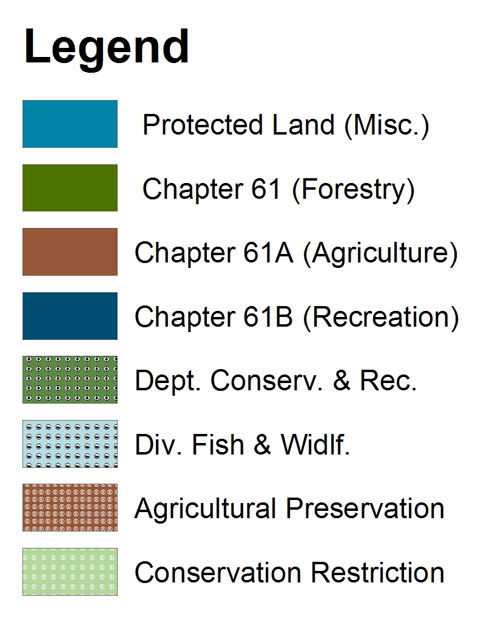 It is understood that these are all covered by the annual lease payment. 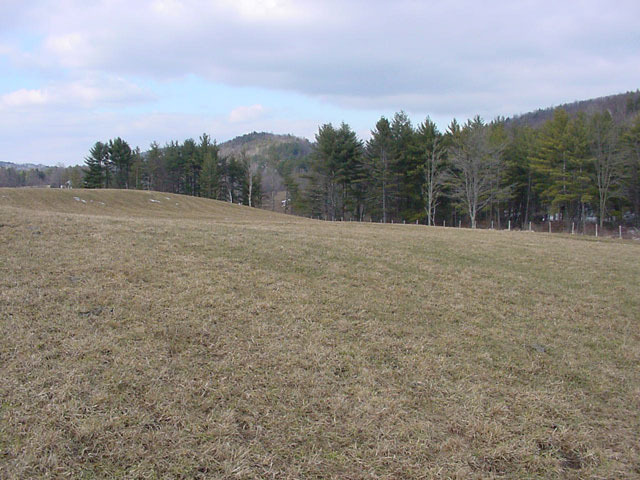 The provisions of the lease are that agricultural and forest management are acceptable practices or uses of the land, but no major alterations are permitted, such as sale of stone walls or gravel excavation. Due to increased hay and pasture land, John is able to increase his herd by 12 to 18 more head, and the woodland will contribute important periodic income to the operation. John's father grew up in Greenfield. He bought the farm in 1943 from two elderly brothers who retained life tenancy after the sale. John's father retired to the farm in 1971 to run it. John returned to live permanently on the farm in 1998. John has a brother who lives out-of-state and visits periodically, and as an avid birder loves the farm for different reasons. Think creatively about land protection — it can be more than merely land trusts buying land. Look for additional partners and outcomes. 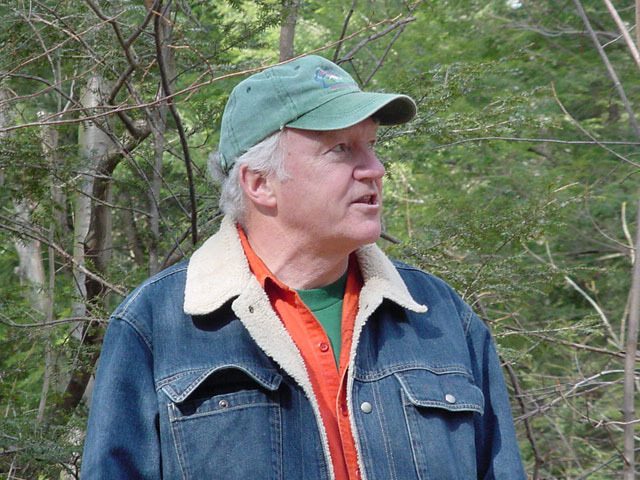 Don't overlook the potential to have the land "pay its way" and contribute to local production (in this case John Payne's farm) as well as the land protection itself (in this case, FLT earns $500/year in the lease arrangement, thereby gaining benefit to apply towards other land protection projects). 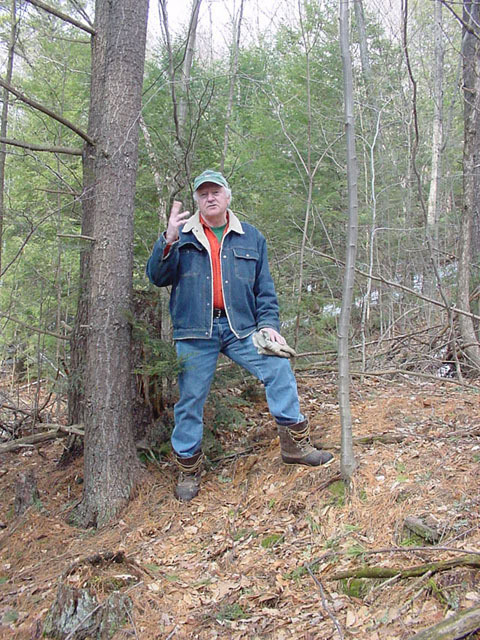 Land protection does not have to take land off of the tax rolls in town: John Payne makes a reasonable payment in lieu of taxes to Shelburne, in light of the agricultural productivity potential of the land. 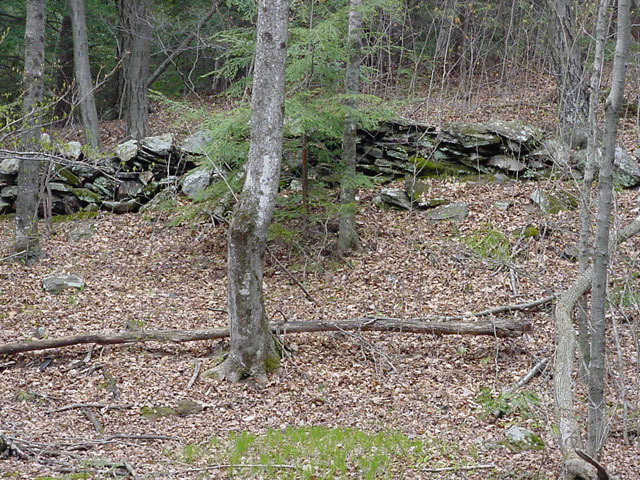 Work with a local land trust to help creatively design the project. 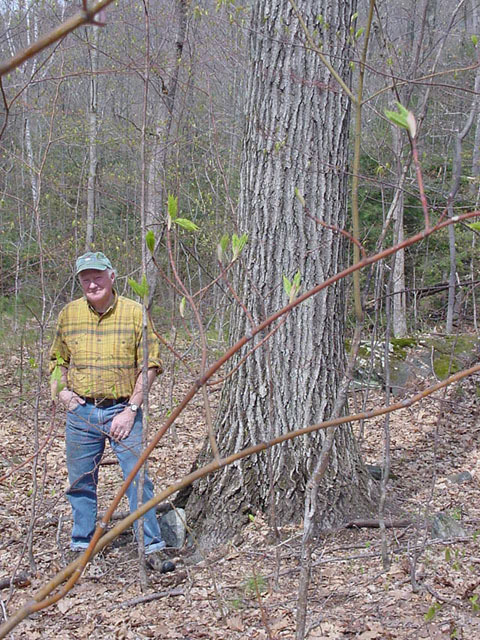 While local citizens might be motivated to make a conservation project happen, they probably have little-to-no experience in such arrangements, and would benefit by working with a land trust that is involved in these matters on a daily basis. On the other hand, don't overlook the power of local citizenry to make the case in town to donors and skeptics. There is a role for both, but probably most successful projects are the result of land trust experience and local enthusiasm and involvement. 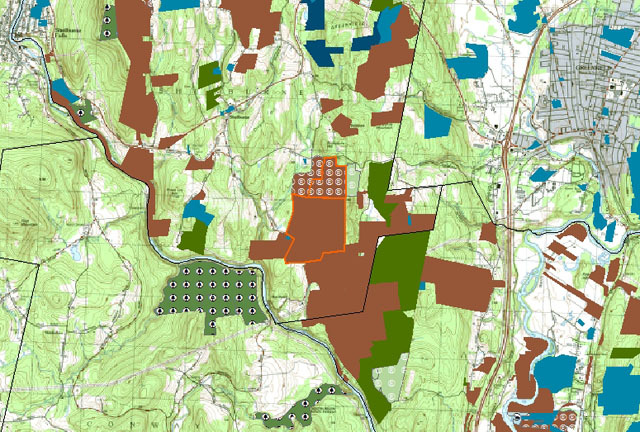 FLT did what land trusts do best: structure the deal, negotiate with donors and the seller, and buy the land. FLT did not want the subsequent responsibility of management, so it found an excellent manager in the abutter, to be a good steward of the land. 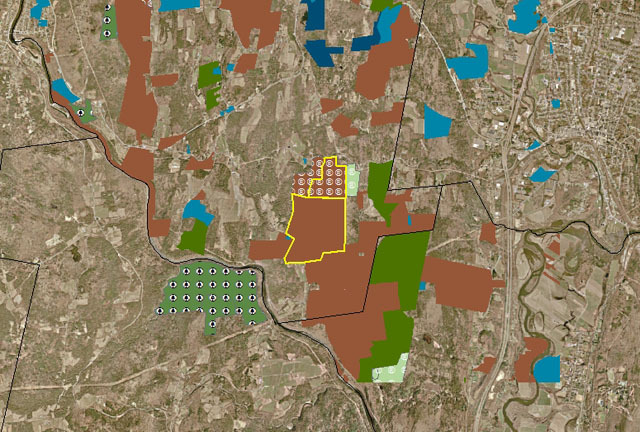 FLT wins because it is not encumbered by management details and responsibilities, and John Payne, the abutter, wins because he gets additional agriculture and forest land to manage for the benefit of his farm. The town of Shelburne wins because a payment is made annually in lieu of taxes, and no homes are built on the land, incurring community service costs (school, fire, police, roads) which are not adequately covered by property taxes. The original neighboring landowner now living in Florida wins, because she was paid a competitive, market-based price for the land. 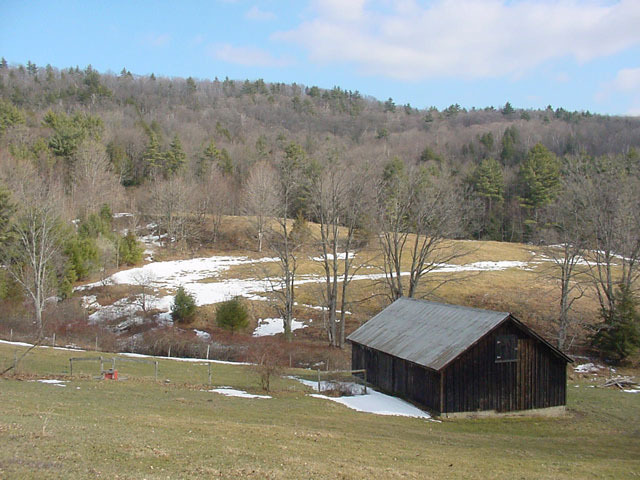 Neighbor writes from her permanent home in Florida, offering to sell John Payne the 95 acres she owns due north of Foxbard Farm. After some exchange of correspondence, Neighbor sets the price at $450,000. John responds with a much lower offer based on what he believes is the agricultural value of the land, and Neighbor never replies. Neighbor reaches tentative agreement with a buyer of the land. 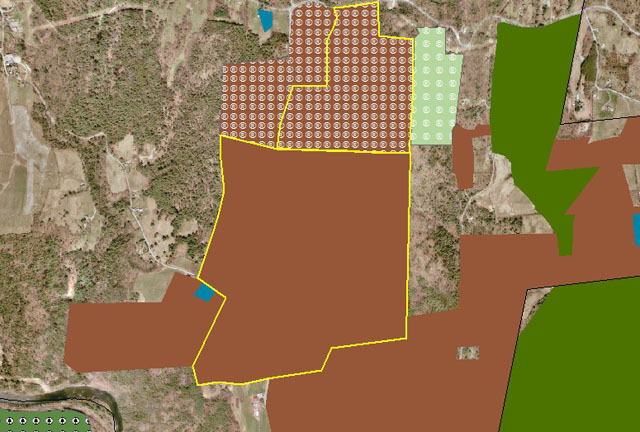 Select Board receives notice of sale of Chapter 61A property [Agricultural current-use property tax program]; For property enrolled in this program, the town has 120 days in which it can decide to exercise its right-of-first-refusal, and buy the land at the fair market value offered by the potential buyer. John advises board members of importance of issue and possibility of Franklin Land Trust (FLT) raising funds to match $220,000 sales price; Board schedules open discussion on issue for January 18th regular meeting. FLT reports it has raised $200,000 towards matching sales price. Mark Zenick of the FLT notes Land Trust does not want to manage land and broaches idea of long term lease to John Payne of Foxbard Farm. John responds to Mark’s ideas with substantial financial commitment and a willingness to lease land for 99 years. Select Board meets to discuss the land sale and the possibility of ceding the town’s right of first refusal to FLT; FLT would buy the land, remove the development rights and lease the land to Foxbard Farm for 99 years; most towns people speak out strongly in favor of the FLT proposal. Select Board decides to exercise right of first refusal and convey right to FLT. 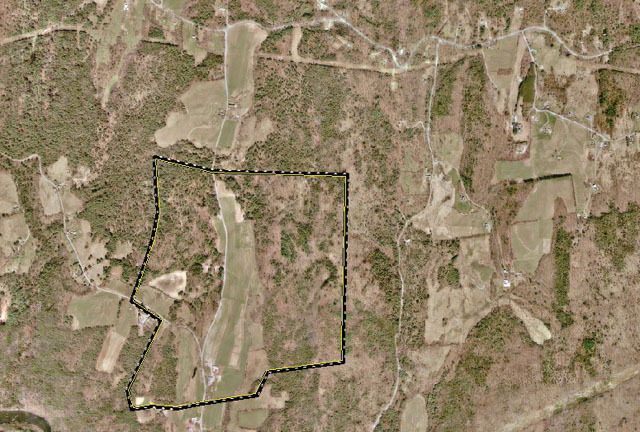 FLT and Foxbard add remaining 25 acres to Shingle Hill 99 year lease.